Click on the image to connect with me on Facebook! I’m passionate about adventures and outdoor till i was a child. But my passion for sports reborn in 2013 while i was abroad, in Uk, after i closed my old own business and restarting a life from zero. Mountain biking it’s only a part of it, as i started to do training for endurance adventures in three different sports, also doing challenges for charity. I just love to stay out there as much time possible, into nature discovering new places, my limits, living passions and emotions and possibly share it. Mountain biking it’s one of those activity which i fallen in love with, many years ago, but never really worked to make it. At some point i decided to focus on this passion and i had the opportunity to work in one of the best bike shop i ever seen: Rides on Air in Wallingford. That gave me the opportunity to learn a lot things and push my passion further. 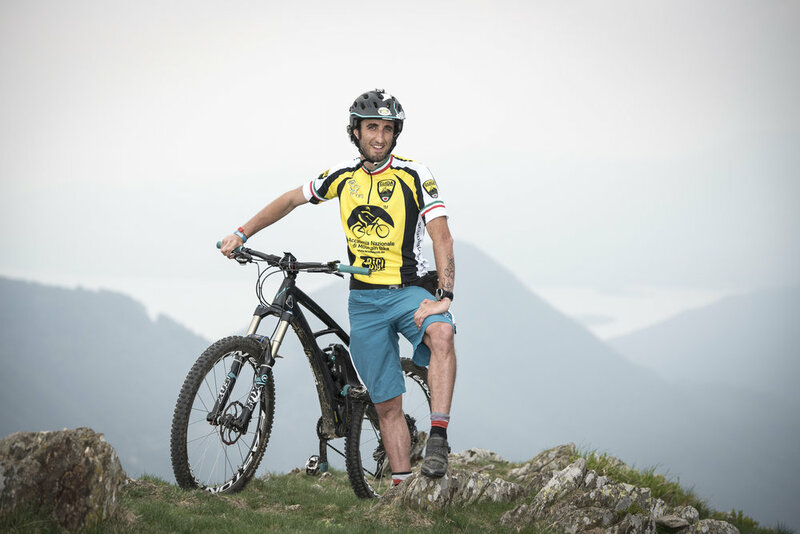 At some point i decided to come back home at Lago Maggiore and i had an idea: combining the passion for mountain biking and my old experience in organising motorcycling tours, to become a certified MTB Guide and create a new local reality, to let people discover this awesome places on a bike. My goal is to keep learning, keep improving to offer a good quality service and wicked tours, open to all the people, of any abilities, who want to discover this magical surroundings on a bike. I can’t wait to guide you into “my world” and share some nice experience together. Since I was young I've been in tight connection with nature , mountains and sports . Starting from long walking i bumped into snowbaording at the age of 16 but this was only the beginning . Along the years I realised that i wanted to understand more of the mountains and step by step I got closer to other sports moved by passion for discover different facets . At this stage climbing , splitboarding , mountaineering and mountain biking become all parts of the research giving me the opportunity to live moments that keep in mind forever and which i share with others with my photographs .